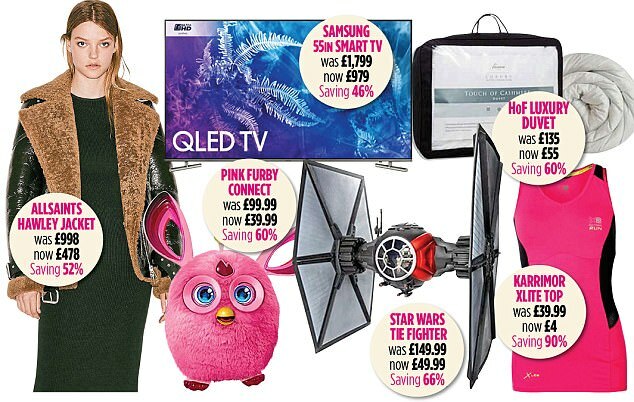 New Year bargain hunters can cash in on huge discounts as retailers slash prices by up to 90 per cent in a desperate attempt to put a miserable Christmas behind them. Hopes of a festive spending spree rose in November when the number of shoppers hitting high streets went up 0.2 per cent compared with last year. But in December there was a dramatic 3.3 per cent drop. Even big names such as Next, Debenhams, Hobbs and House of Fraser are now offering discounts as high as 70 per cent. At Sports Direct, items in the Karrimor range of running clothes are discounted by 90 per cent – including a ladies Xlite vest top at £4 down from £39.99 and an iPhone 5 armband down from £19.99 to £2. Experts warned that Britain is hooked on discounts. Diane Wehrle of Springboard Research, which monitors the number of shoppers, said: ‘Christmas is now just one continuous stream of discounting. ‘We all used to talk about the sales starting on Boxing Day, but that is just not true any more. They started in the middle of November. Trendy fashion chain AllSaints is even offering an extra 20 per cent off sale items that were already reduced by 60 per cent. A women’s Hawley leather jacket was originally £998, but with the double discount of 52 per cent it is for sale at £478, a saving of £520. Britain’s biggest independent toy retailer, The Entertainer, is offering a Star Wars First Order Special Forces TIE Fighter model for just £49.99, a 66 per cent cut compared with the original £149.99. 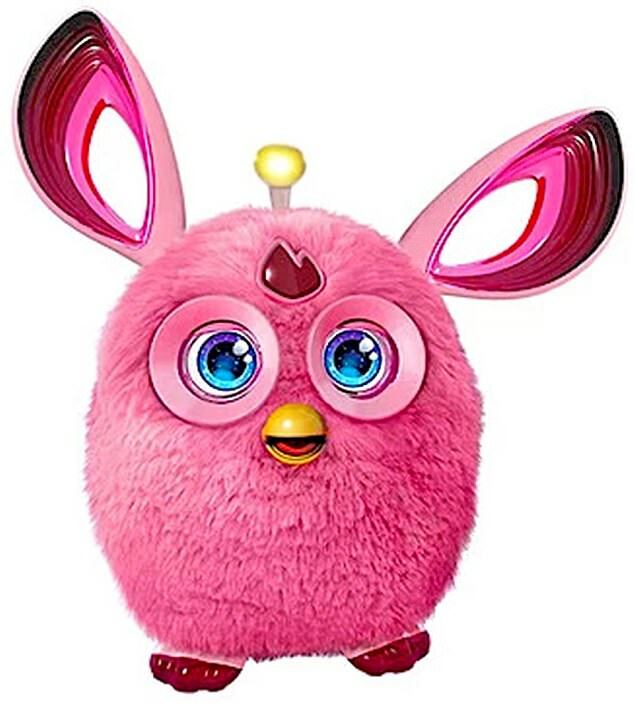 A Pink Furby Connect – described as an ‘interactive pet’ – is £39.99, down 60 per cent from £99.99. Electrical and digital products have also dropped sharply in price. At Currys, a Samsung 55in Smart 4k Ultra QLED television previously priced at £1,799 is being sold for £979, saving £820 or 46 per cent. A Lenovo 14in 320s laptop is discounted by 44 per cent to £299 from £529.99. At the department store chain House of Fraser, a 10.4 tog duvet from the Luxury Hotel Collection was slashed 60 per cent, down from £135 to £55. A combination of poor weather, fierce online competition and consumer nerves over the economy has piled on the pressure for high street shops. Experts said many retailers bought less stock this year to avoid too many products being offered at a big discount after Christmas.